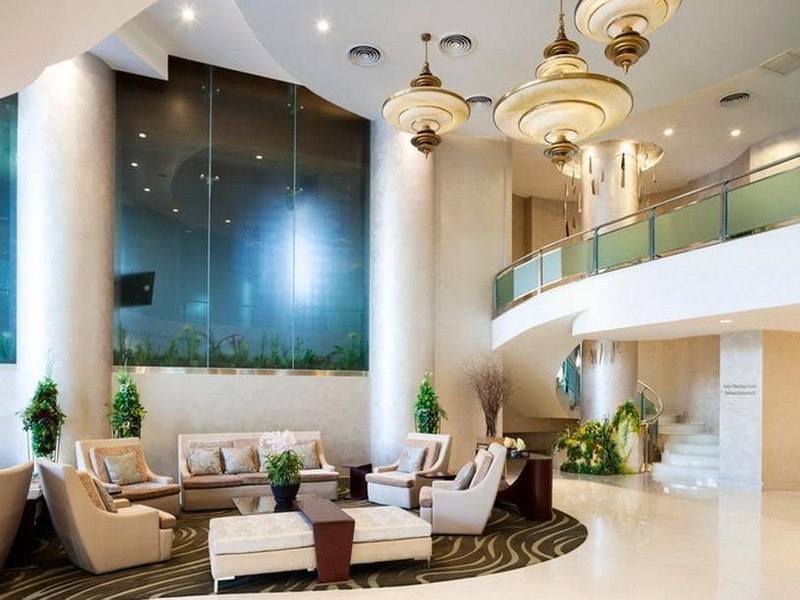 If you want quality living at a good price then the Viva Garden Serviced Residence hotel is as good as it gets. 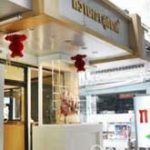 The residence hotel is located close to the BTS Bang Chak Station on the Sukhumvit line and the amenities and service is second to none. 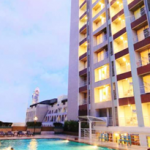 The hotel has many offers in terms of residency size and we have listed these below. 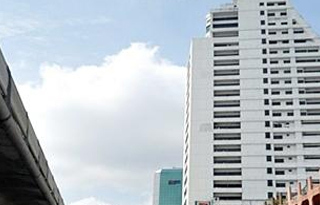 Its an excellent location with really great service. 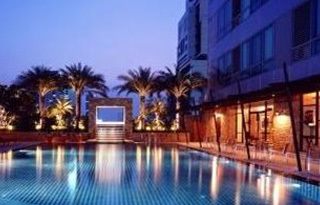 This hotel has many 5 star reviews on all the major website in Thailand and abroad. 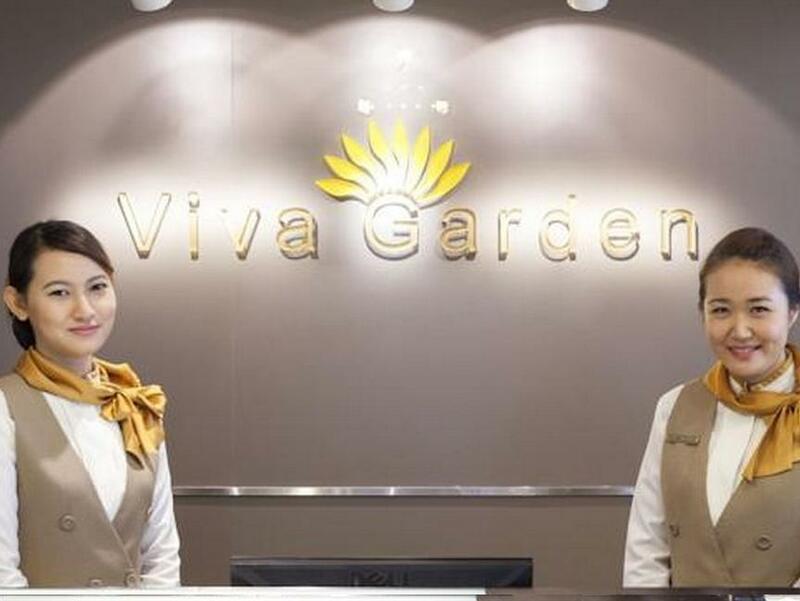 The Viva Garden Serviced Residence will be beyond your expectations as the hotel staff are all extremely friendly and also very helpful. 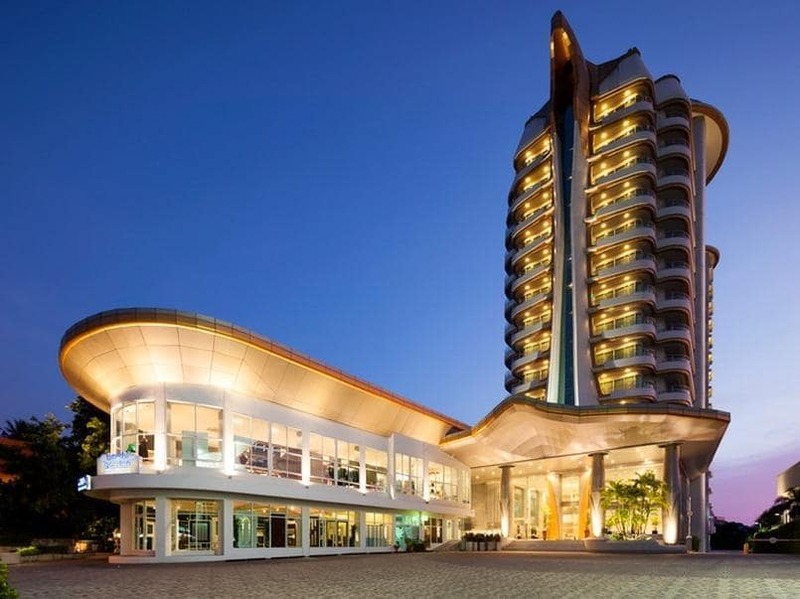 The hotel well maintained and also very professionally managed. The apartments are very spacious and also well maintained We you have been travelling for a long time at times a bit of self catering is good. It tends to make you feel at home. As stated the hotel is located close to the BTS Bang Chat and there are a number of good mini marts close by when you need to make dinner yourself. 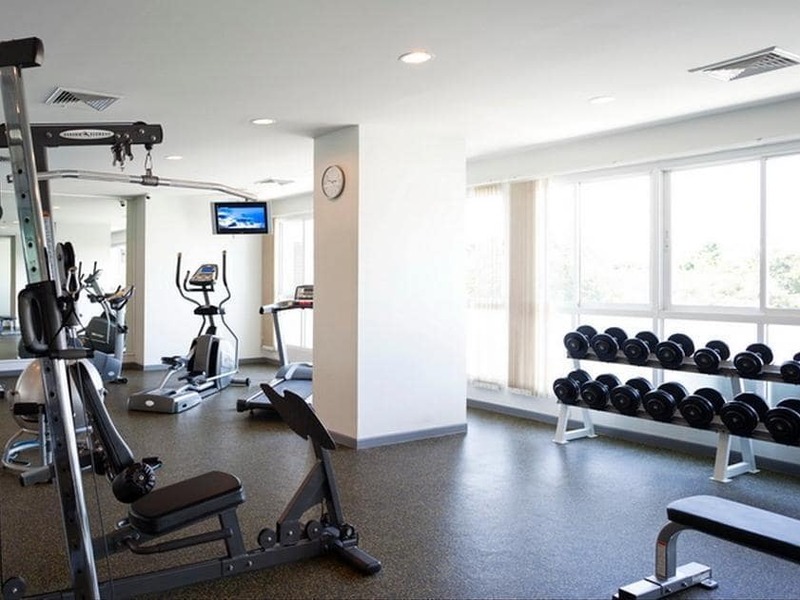 The gym at the hotel is not very big however it is well maintained with good equipment. The hotel swimming pool is also a very good size and the best thing is that it gets the sun all day. 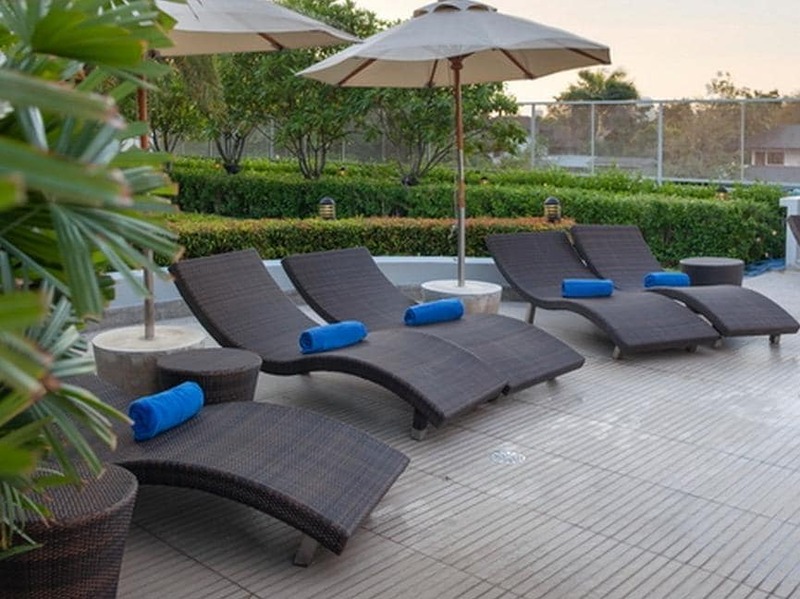 If you wanted a good tan while in Thailand then the pool location is an excellent addition to the hotel facilities. The area is not small as there is another sun bathing area right behind the pool. You dont need to worry about not having enough space. 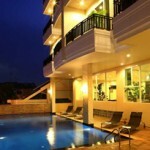 For just over 3,900 THB a night it is good value for your money and most people would definitely return. As stated the staff at the Viva Garden Serviced Residence are very professional as well as friendly, especially the concierge – Patrick. There are 3 options at the serviced residency. These are Studio Superior, 1 Bedroom Executive as well as the 2 Bedroom Superior. 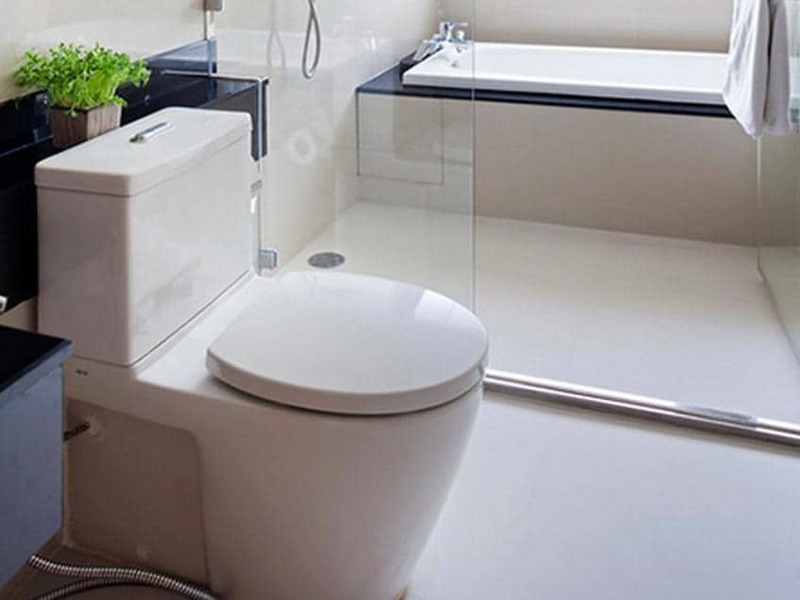 The 2 bedroom superior is a 108 sq.m room which is suited for a maximum of 4 adults. 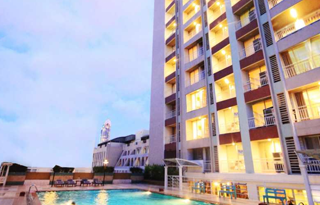 Prices range from about 3,900 THB to 4,900THB depending on which of the apartments you take. 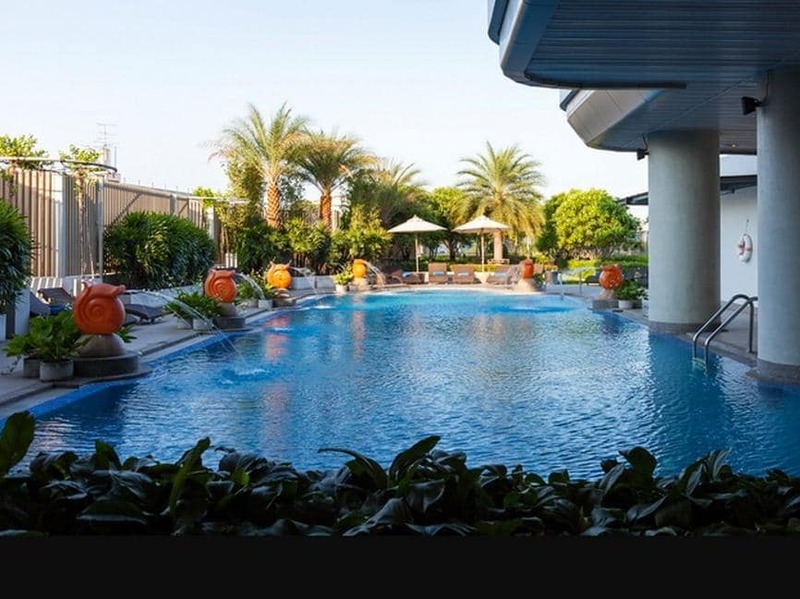 The serviced apartment in Bangkok is about 16 km from Suvarnabhumi International Airport (BKK), 300 meters away from the BTS Bangchak Station and about 500 meters away from the Tokai Surgery Clinic which is a Cosmetic Surgery Clinic. There is also a pharmacy about a kilometre away and ATM outside of the residency and a well stocked Family Mart about 100 meters away. Note that every guestroom comes with a television LCD/plasma screen as well as a separate living room. There is also internet access – wireless, internet access – wireless (complimentary) as well as having non smoking rooms on offer. You will need to ask for this when you book. 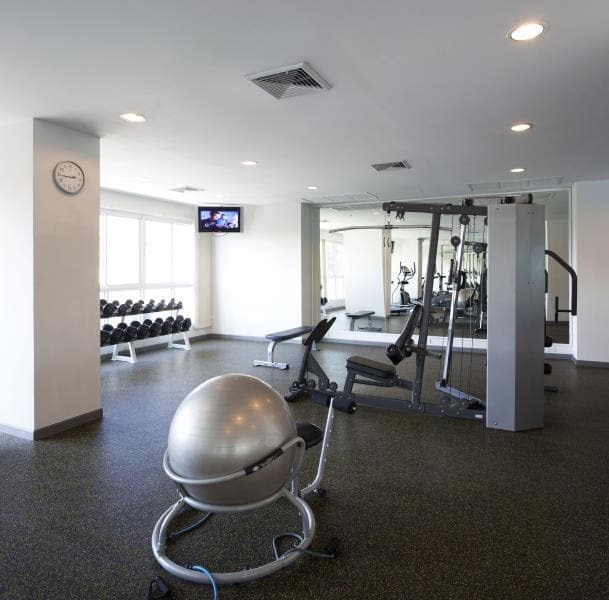 There is also a fitness center, sauna, outdoor pool, kids club as well as a garden. If you are staying long term there is also a car park and valet parking. Room service is on offer as well as a laundry service and a babysitting service which can be very handy. There is also a balcony/terrace as well as an in-room safety deposit box. The apartments also comes with a refrigerator, kitchenette and microwave oven. Rosdee Restaurant- Chinese restaurant with a great menu.